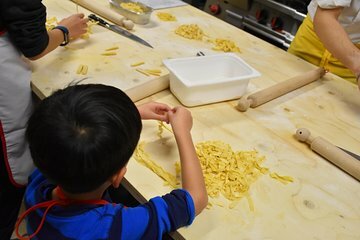 Parma is an official UNESCO Creative City of Gastronomy—and one of the best ways to connect with the city’s lively food scene is a cooking class. Hosted by a professional chef, this small-group course will teach you how to make tortelli d’erbetta (traditional ricotta- and chard-filled pasta) and tagliatelle with tomato sauce. At the end, savor your creations alongside a glass of local wine; a recipe booklet is also included.